Nothing can make your kitchen mesmerizing and beautiful than having clean appliances decorated on the shelf. The clean kitchen of your dream isn’t far more than reading these tips & tricks to clean the appliances for the next use. You might be thinking to arrange a complete kitchen remodel, but the core beauty of the kitchen is its clean appliances. 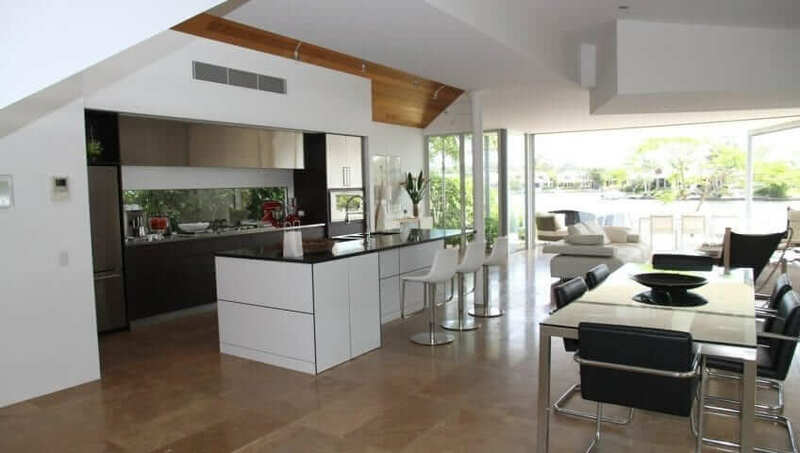 Follow this article and learn about the best ways to clean kitchen appliances i.e. refrigerator, dishwasher, coffee maker etc. Waste any grounds and old coffee into the water and fill the water reservoir with some white vinegar and hot water. White vinegar and water will help the build-up substances to loosen up a bit. 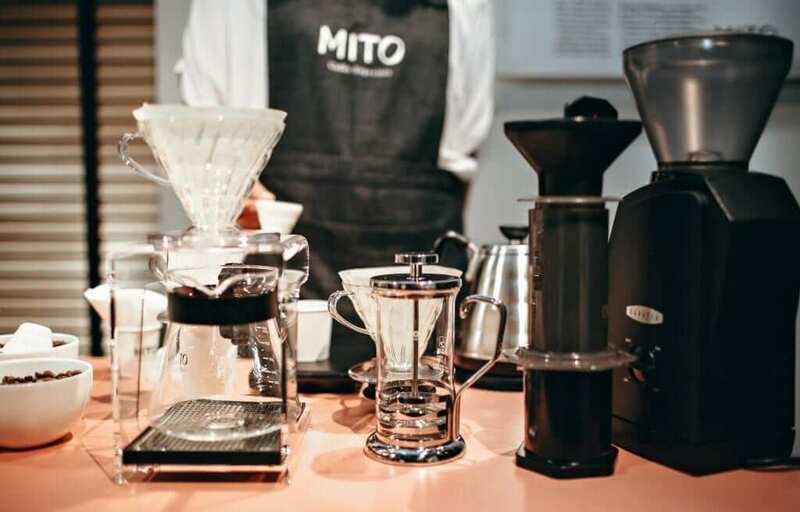 Now run the coffee maker just like you do when making a coffee. When the first cycle completes, again pour the hot water and vinegar into the reservoir and run it again. After the second cycle completes, wash the reservoir with hot, soapy water to clean any coffee stains. You can also use an old toothbrush for better cleaning. Now fill cold, clean water in the reservoir and repeat another cycle. Dry the coffee maker with a lint-free cloth. 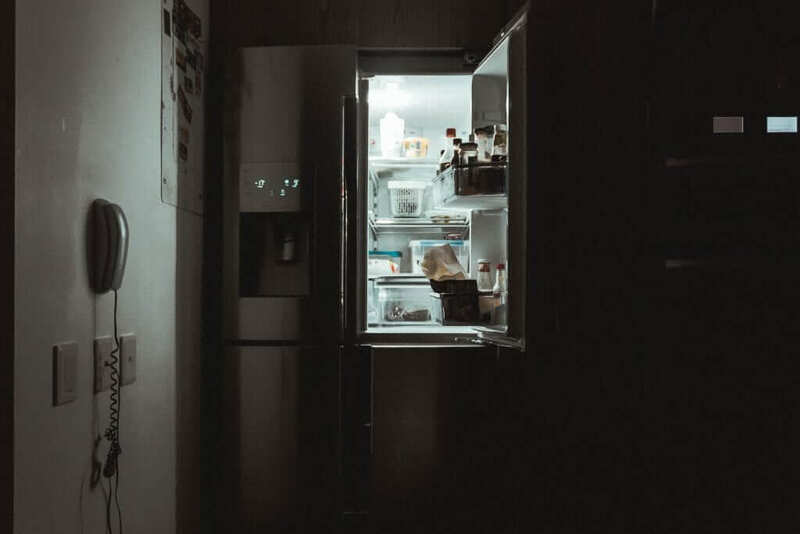 The refrigerator can be the dirtiest appliance in your kitchen. The very first step is to unplug the refrigerator and pull it out – as it is most likely adjusted against the wall. Now use a vacuum to clean the coils behind and underneath the fridge. Make sure not to put more pressure on the motor. Now mix one cup of plain water and one cup of vinegar and clean both inside and outside of the refrigerator. Take out the trays and use a dampened cloth with soapy water to clean them. In the end, clean the trays with plain water and adjust in the refrigerator. 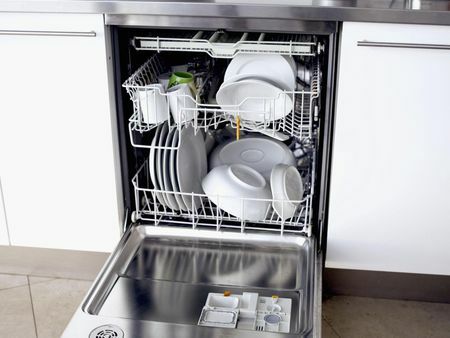 Though dishwasher is used to clean the dishes, it doesn’t mean it doesn’t get dirty. Fill white vinegar in the dishwasher safe cup and put it at the top rack of the empty dishwasher. Turn on the dishwasher at high temperature and set it at the longest cycle. It will loosen the soap and food scum. In the end, rinse well with plain after. Stand mixer, blender, and good processor are the easiest to clean because most of the cleaning is done by their own mechanism. After every use, simply put a cup of clean water in the jug, add a few drops of dishwashing liquid and whirl the blender, food processor, or stand mixer for a few seconds. In the end, disassemble the blades and rinse well in hot water. The very first to clean any electronic kitchen appliance is to unplug it – including toaster oven and toaster. In case of a toaster, shake it over the slab to get rid of any food crumbs. Dry it thoroughly and you’re done. When it comes to toaster oven(https://www.reviewho.com/best-convection-oven-reviews/), take out the racks and put them in the soapy water for a while. Use a wet cloth with soapy water to clean the internal part of the toaster oven and a wet pastry brush to clean the narrow slots of any burned food particles. You can also remove the knobs of the toaster oven and clean them with a soapy wet cloth. In the end, wash the racks with hot water, dry them, and place them back in the oven. 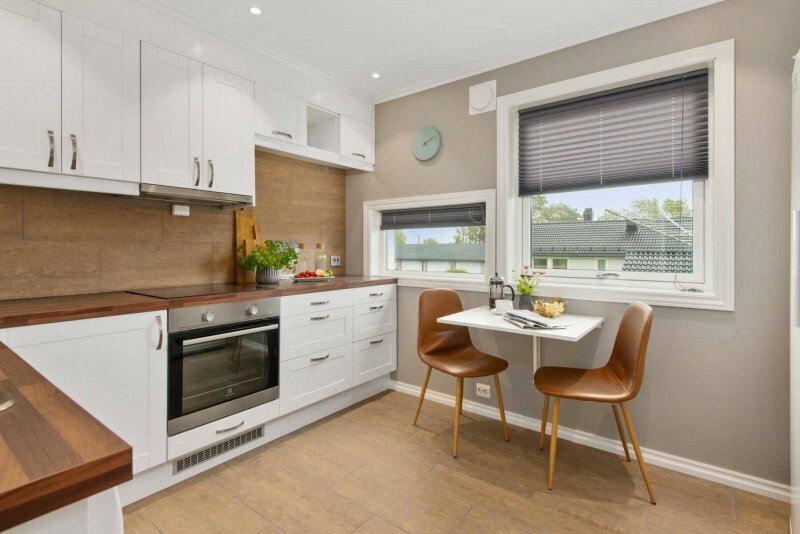 In a nutshell, cleaning your kitchen appliances after every few weeks will not only increase their lifespan, but it will also enhance your kitchen space. And if you’re neglecting the dirt on these appliances, even remodeling the whole kitchen won’t make much difference. This post was written by Reviewho(https://www.reviewho.com/). 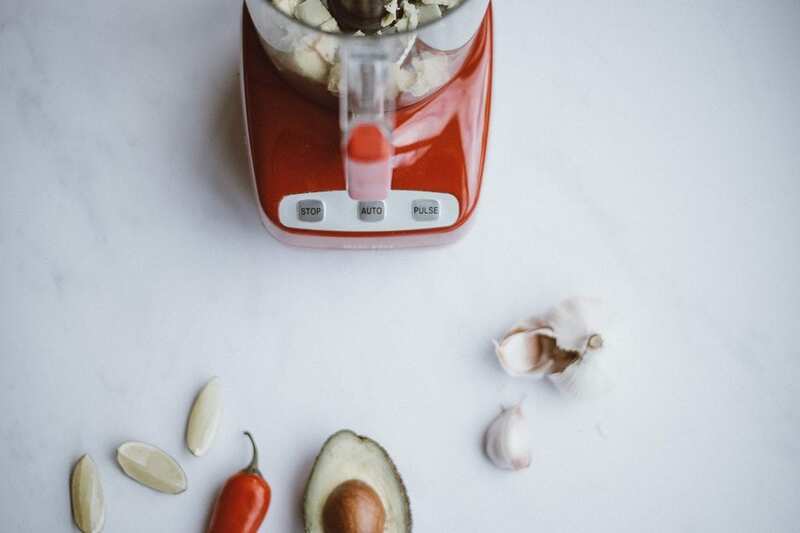 A website that takes pride in writing researched reviews and guides relating to best kitchen appliances, for people who want to save the time and stress of figuring out what to buy. Curb appeal is essential. If you’re selling a home, you’ll want to entice buyers from the moment they see your property. If you are planning to live in your home for as long as you can, you’ll want to make it as appealing as possible. It’s possible to make any home stand out and look fabulous. Think carefully about all the details of the house from every single angle. 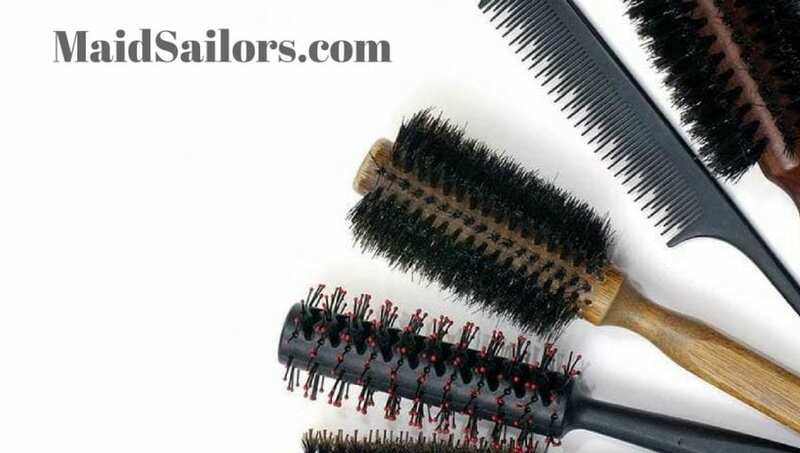 A few basic changes can create easy, long-lasting results you’ll love. One of the best ways to begin to create curb appeal is by creating a walkway. A walkway is both beautiful and practical. You want to make it easy to get to your home from the curb. You also want to make it easy to see the front entrance. Think about the best path to the front door. Set out a path following the natural lines of the home. Line it with elegant red brick or upscale slate tiles for an instant, incredibly welcome and easy to use the update. Flowers add so much to any home. They’re full of color. Lean over and they give off pleasing scents. Planting a bed of flowers in front of your home and draw the eye to it immediately. When looking for flowers to plant, consider several factors. You want colors that work well with the overall colors of your home. For example, if your home is a pale yellow, add vivid violets to bring in welcome contrast on the other side of the color wheel. Color can also be used to highlight the home. Red roses stand out against white outdoor walls. Trees and bushes offer both privacy and curb appeal at the same time. Think about the kinds of trees and bushes you can use in front to add heft and keep prying eyes from your yard. Large bushes can be placed in front of your first-floor living room windows to help shade it from view. 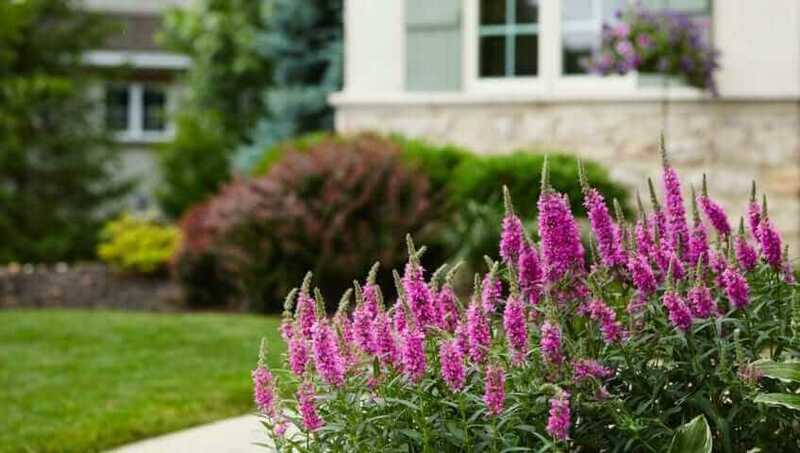 A series of smaller bushes are ideal in places where you want to provide a backdrop for the rest of the home. Make sure that all your trees are bushes are well maintained. They should be trimmed as needed all year long. Your front door is another area that deserves careful attention to look fabulous. Consider what kinds of front doors appeal most. The best will combine security with lots of styles. Front doors are available in many materials including metal and wood. Many people prefer a combination of the two. Think about the color of the door. Painting a front door is an easy way to add a delightful focal point to any front curb. A bright blue or green door instantly stands out against the rest of the backdrop and shows off your exuberant personality and style. Liven up the front door with a place to sit. A metal or wood swing adds instant charm and provides a great perch for people watching. Hang one on the top of your porch for kids to enjoy as they drink lemonade and eat homemade cookies. Place additional seating for guests. Look for materials that will stand up to the elements and still look fabulous. Wicker can be painted any color you like. The graceful curves are a good choice if you’re looking for something that’s also quite durable. Bring out a few tables so guests have someplace to set down a drink. Windows form part of the overall look of the home. You want to keep lots of things in mind as you think about the sort of front look you like best. Consider the use of awnings. They are an easy way to keep out the heat in the summer. They are more difficult to clean though. You may need to consider hiring professional cleaning services to get them cleaned. They can also add pattern and an additional layer of privacy. Different types of windows exist. A bay window is one way to help bring in extra light to any room inside. It also makes the home look more attractive from the curb. Some homes have a separate front entryway in the form of a covered entrance. This area needs special care when planning any front curb design. A decaying front porch can be very unattractive. Fortunately, this is an easy area to fix quickly. Create a color scheme for the area. A simple coat of white paint can do wonders. Make it even more interesting with other colors. Brown, pale gray and other neutral tones are a good choice for colors that blend in well with the rest of the landscaping. Place a welcome mat with similar colors and make it easy to keep the entryway clean even when it’s raining or snowing. As the season’s change and the holidays come along, it’s easy to add lots of personal changes of your own and bring out even more wonderful curb appeal. Spring is the perfect time to celebrate with a set of floral cushions and lush hanging plants on the porch. Show off your love of country in July with a gaily hanging flag. When fall comes along, bring out the carved pumpkins and the fun Halloween decorations. Light up the winter night with fairy lights strung across the entryway and a bold wreath. There is no formal written guarantee of any kind with the most service providers but these portland house cleaners do. But a good company will. It should be at the very least being accessible from their website once you ask for a copy of their guarantee. If you contact the provider within a specified time frame which is usually 24 hours, a strong guarantee will provide you with a thorough clean of items found to be deficient in your scheduled cleaning. For hiring new people, a good company will have a process. With an application, a phone interview, and a finally in-person interview is what included in the process. It is mandatory for a reference check and prior employment verification. It should also be conducted for the federal and local background. Unlike living in an apartment in a residential building, living in a house means you probably have some outdoor space in front and/or behind your home. This also means you need to maintain this space regularly and invest some time, money and energy into it, especially if you want it to be visually appealing and practical. Having a timber deck in your back yard is one of the best ways to make the most of your outdoor area – this is the perfect space for spending time with your friends, hanging out with your coworkers, bonding with your family, or just taking a step back from your busy schedule and dedicating some time to yourself. 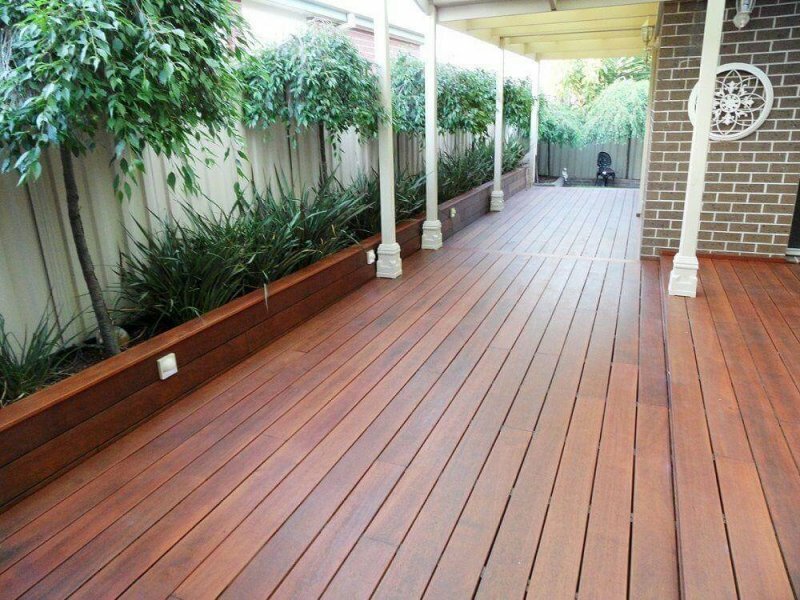 So, how can you make sure your timber deck is in perfect shape, and what can you do to maintain it adequately? This is the first thing you need to do if you want your deck to remain organized and attractive at all times. Decluttering it regularly is the only way to ensure it doesn’t turn into space where you store all your unnecessary possessions or an area for all the things you can’t fit into your indoor living space. Although most people think this is a boring, tedious and exhausting process, decluttering your deck can be done in under 15 minutes, as long as you’re organized and know what you’re doing. Start by removing the things you don’t need – especially if they’re old, broken or dirty – and adding some new storage space, and then just keep repeating this process as often as you can. Once you’ve decluttered your deck, it’s time to clean it. There are lots of techniques you can use to make sure your deck is shiny and sparkling, from doing it with a sponge to using a hose, so just pick an idea that works for you the most and add it to your list of weekly chores. Of course, not all decks require cleaning every single week, so come up with the schedule on your own, depending on the amount of debris your deck has, the number of trees around it, and the overall weather conditions. What’s great about this process is that you don’t need any special equipment or knowledge to make your deck shine, and a simple broom and some power washer should do the trick. Maintaining your deck isn’t just about cleaning it regularly and making sure it’s not full of unnecessary items – it’s also about making sure it’s as safe, functional and reliable as possible. While installing it on your own might seem like a good idea at first, it’s actually much better to leave this job to professionals who have more experience and skills than you. These people will install your deck properly and also keep checking up on it from time to time, just to make sure it’s still in the best shape it can be. Checking the quality of your deck is the only way to keep using it in the decades to come, so find a team of experts you can rely on to do this for you. If you’re an outdoorsy type of person and love spending time in the open, having a deck is the perfect way for you to pass your time and utilize your outdoor area to the fullest. However, this means you need to find some outdoor furniture that will provide you comfort and help you enjoy your deck on a much higher level. This furniture needs some attention as well, and you should try to maintain it regularly. Cleaning it with a wet cloth, vacuuming it and covering it with a protecting cover may sound like boring tasks, but these will surely help your furniture stay new, so don’t be afraid to invest some time in them. These are two of the most complex DIY processes you could invest your time into, but they are also the best ways to protect your deck for a longer period of time. Covering it with a protective layer of oil, for instance, will help your deck resist harmful sun rays that cause cracks and other damage to the wooden surface, drying it and making it less visually appealing and safe than before. 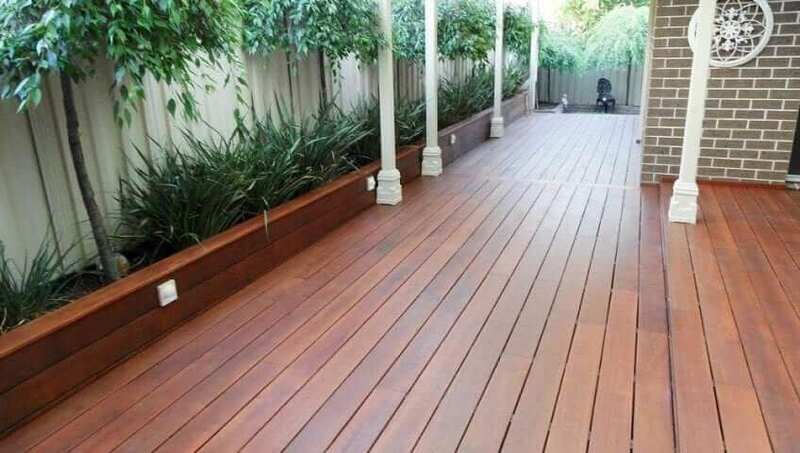 If you opt for staining, though, you will give your deck a more polished look and accentuate all the patterns and colors of your timber, while also protecting it against UV rays. Whichever idea you go for, you’ll do your deck a favor and extend its lifespan. As you can see, maintaining a timber deck isn’t hard at all – all you need is some free time, a few useful tips and a couple of experts who can help you protect your deck on a more professional level. 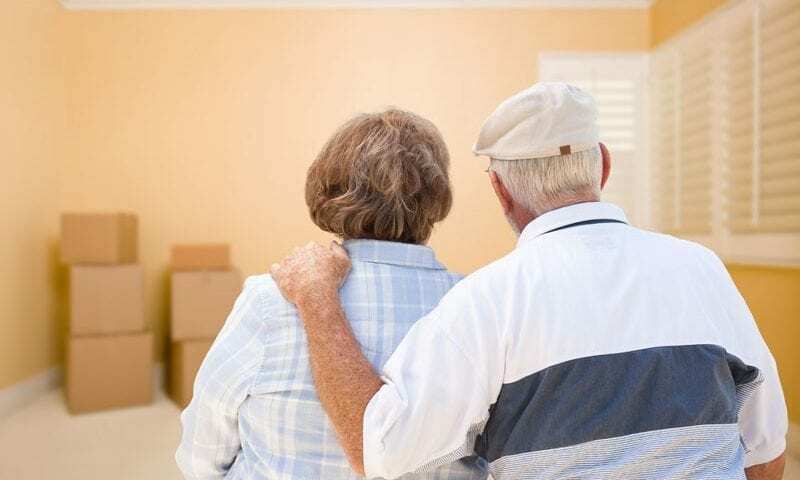 When you are a senior and preparing to move to a new and smaller home, downsizing can feel stressful and overwhelming, especially if you are unsure of where to begin. While moving into a new location is often thrilling and exciting, it can leave you feeling filled with dread if you are not fully prepared. Knowing how to prepare for an upcoming move and downsizing throughout the process is a way to gain peace of mind while alleviating the stress that is commonly associated with eliminating furniture and personal belongings. Eliminate Clutter: Eliminating the clutter from your home helps packing and organizing the items you intend to keep much easier and less of a hassle. Free Up Space: Freeing up space in your home prevents feeling stressed and overwhelmed once it is time to begin preparing and packing for your moving day. Inventory: Discover belongings and pieces of furniture you do not remember owning. Gather inspiration for decorating your new home by digging through old and lost treasures of your own. Save Time: Once you have completed the downsizing process, save time while packing and when transporting the furniture and personal belongings you choose to keep. Save Money: Moving is not always cheap and can require the assistance of professional moving equipment or companies to get the job done. After downsizing, require less assistance to get you into your new home as quickly as possible. Starting early when you plan to downsize is highly advisable, even if you have yet to set an official moving date. Downsize as soon as you begin to entertain the thoughts of moving into a smaller home, apartment, or senior care facility. The earlier you begin downsizing, the less likely you are to feel overwhelmed once your moving date begins to approach. There are many resources available online that will help in the organization phase of the move. 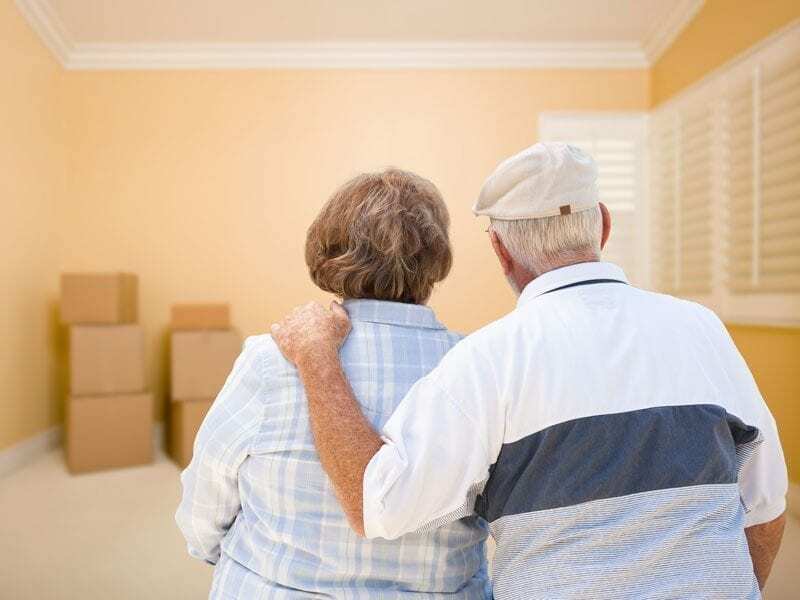 This moving checklist for seniors by Suddath shows everything you’ll need to have accomplished from two months before the move, right up to moving day. Keeping/Packing: Furniture and belongings you want to use in your new home should be kept in this section. Consider the size of your new home and whether or not you will have the ability to store or utilize the furniture and decor you want to keep. If not, consider investing in a storage unit to avoid throwing out or donating items you treasure and hold dear. Donating: Donating old clothing, home decor items, and outdated furniture is a great way to downsize while giving back to your community and those in need. Selling: Selling your belongings is another option that can be done by hosting a yard sale or by listing your items online and with the use of social media. Use platforms such as eBay, Etsy, Amazon, and even Facebook Marketplace to post and share your items with those who may be interested. Downsizing ahead of time allows for more room to sell items without feeling pressured to simply give them away or throw them out. Gifting: Gifting your belongings to family members and friends is another way to ensure your treasures and collectibles stay with loved ones even after you have downsized. Begin downsizing in rooms that will no longer be available in your new home. If you are moving to an apartment or home without a basement or garage, start there. If you no longer have the need for all of the items in your hallway closets, organize them first. Work on downsizing items you may need in the future last to avoid going without while you are still living in your current home. Start small without putting too much pressure on yourself. Moving and downsizing can quickly feel overwhelming if you are trying to clean and declutter your entire home in just one afternoon. Spend a few minutes each day sifting through boxes, shelves, and cabinets in your home as you begin the organization process. Ask for help from friends and family members who are willing to lend a helping hand throughout the process. Consider the opportunity of hiring professional movers and a home cleaning service who specialize in assisting seniors with moves and downsizing. Professional movers arrive with proper tools and equipment to move, sort, and pack boxes appropriately with your guidance and direction. If you do not currently have a friend or relative that lives nearby to help, working with professional movers who specialize in senior moving and downsizing is highly recommended. 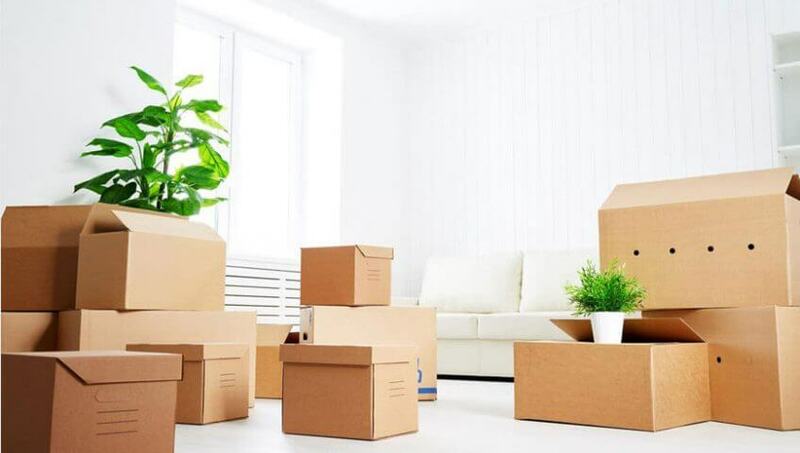 Understanding the proper steps to take when you want to downsize your current home for an upcoming move can help keep you motivated with your plans without causing you to feel discouraged. Preparing ahead of time, getting organized, and using the right resources is a way to ensure your transition to a new place of living goes as smoothly as possible at any age. For people who do not have time off from their busy schedule and time to clean their home, then cleaning of the home and working on other tasks at home can be overwhelming. Most of the people coming home from a stressful day at work make them spend their time lazing around without any craving to do some cleaning work at home. After your busy weekdays when you come home makes you feel terrible to find a messy house. To make the task easy, you can schedule or divide chores over several days. So it is time to do home cleaning. Here are some simple and easy cleaning tips and tricks that you need to know. Schedule the days you want to clean your house. The weekend is also the best time to do some cleaning as you are free from office work. Divide your work as per your convenience so that you will complete your chores making the home look clean and tidy without getting tired. Also, make sure that you have all the required janitorial supplies available at home. You can stock up janitorial supplies in wholesale quantity at your home so that it is always accessible whenever you need it. Remember that the more you allow chores to pile up then it will make your weekend worst as you have an enormous task at hand. Try mini- cleaning techniques at your home, it can reduce the accumulated dirt and dust. Remove unnecessary items from your table, kitchen, sofa, room. This can be easily done while you are listening to music or having a relaxed time. Do instant cleaning when you see some dirt pilling up at the corners. Some essential, simple and quick method of wiping and dusting can help you to eliminate dust and make your room look clean and better. The dirty sheets in your bedroom can give you a musty smell. Dust also gets accumulated in your sheets. This can cause irritation and allergies to you. So clean your bed sheets once in a week with some liquid laundry detergent. This will eliminate dust and odors, making your bedroom smell fresher. Also buying liquid laundry detergent in wholesale will help you to manage your cleaning budget. Cleaning a ceiling fan is really a messy task and it becomes difficult not to inhale dust particles whenever doing the task. So a great and simple way to clean the ceiling fan is by taking an old pillowcase and just slide it over the blade, then draw the fabric. This will help the dust to remain inside the pillowcase and to keep away from the nostrils. The dust will no longer spread everywhere in your room. If you can’t do it yourself, get a professional cleaning service. Microfiber cloths trap the dust and help you to discard the dust particles all at once. On the other hand, normal clothes do not trap the dust, they just move the dust from one place to another and also make the dust to fly on the air. You can also use a microfiber cloth for stainless steel appliances to give them a clean and good shine. You find a lot of hairs on your furniture, bed, carpets, sofa and also around your pets. Using a vacuum cleaner to remove the hairs may not completely work, so use a rubber glove and run it over the surface to trap the hairs completely. Dirty worktops make your kitchen look disgusting. 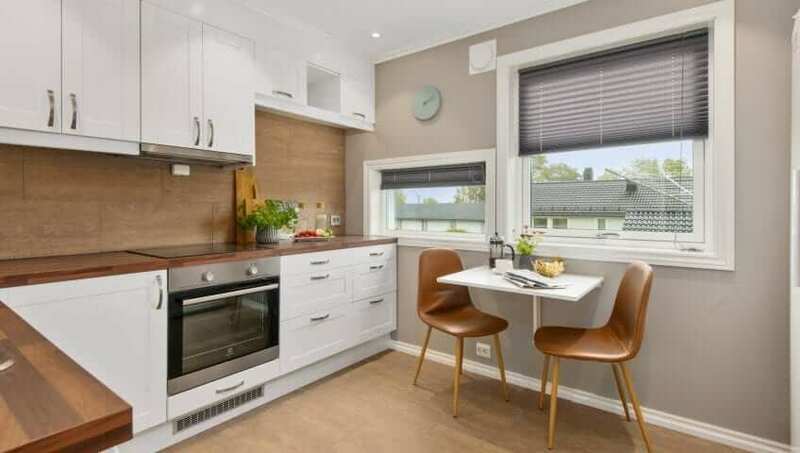 After having your meal or snack immediately wash the plates and cups used and load the dishes in its place, then wipe down the worktops in the kitchen with the help of a cloth and all-purpose cleaner. Soaps and toothpaste splatters, hairs, food residue etc in the bathroom looks awful. So use some disinfecting wipes and spend some time to clean the sinks and taps. You can just wipe off the things on the sinks and faucets every day and also teach your kids to this thing daily. You can place floor mats in the entry of each room in your house as well as in the interior and exterior door. This helps in keeping most of the dust outside the house. And also train yourself and your kids to avoid wearing shoes in the house. Every few days you can shake or vacuum the floor mats outside your home to remove dust trap in it. The air vents at the home are probably very dusty and dirty. 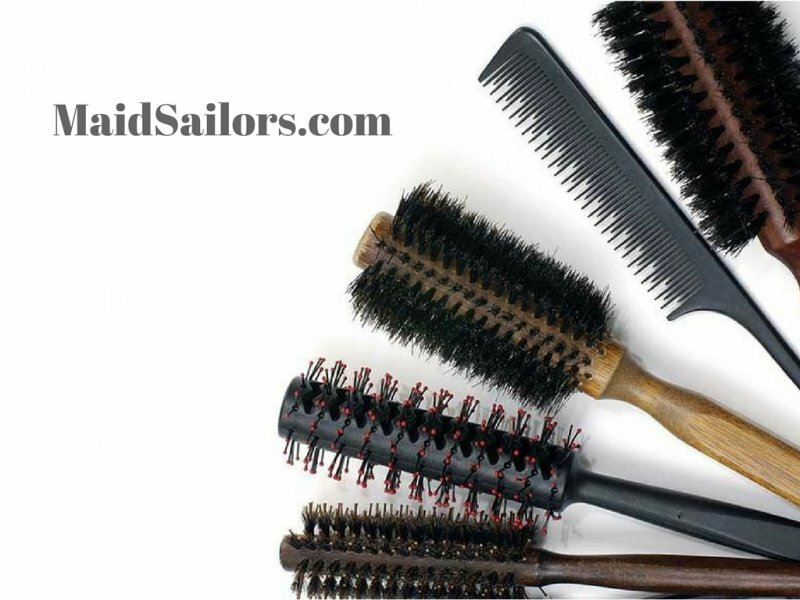 First, remove the dust accumulated with a soft brush tool. Then take some soft cloth that you no longer use and soak them with a cleaning agent and wrap it around a small stick and clean the air vents. To clean your pans, simply put the pan in your sink with a soap solution, warm water, fabric softener and leave the combo for an hour, and when you pour water on it, then the mess on the pans will get easily wiped away. You can use a combination of water and rubbing alcohol in a spray bottle to clean your computer or use a screen cleaning spray. Spray the solution on the microfiber cloth and gently wipe it to remove the dust. Clean the keyboard and other things attached to the computer once a week. Use a paper shredder to arrange the paper works and other things properly which makes the room look clean and tidy, having some handy and small tools makes it easier to manage the tools. 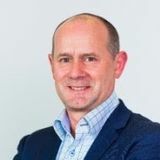 Gene Moore is a Marketer working for an online wholesale cleaning supplies store and a passionate writer. He is a very adventurous and ambitious person having an interest in traveling, writing and reading blogs. His artistic background nurtures him in developing creative writing skill. Sooner or later, being the owner of the printer you have to face the cartridge replacement issue. 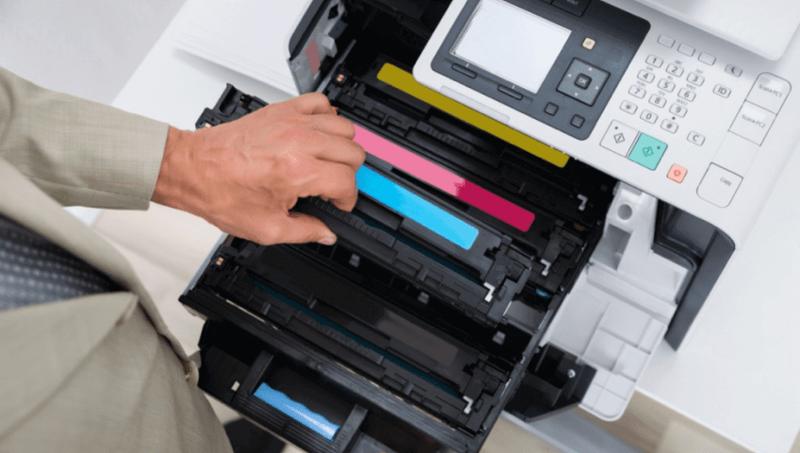 If you have a little bit knowledge about the printer, then replacing the cartridge is not such a difficult and complex task for you. In addition, every printer comes with a user manual, where clear instructions for cartridge replacing are mentioned. But the biggest question is what you need to know before replacing? As many of the people are unaware of those tips. So, let’s discuss some useful tips that will help you replace your cartridge. Before going to replace your cartridge it is better to get familiarize yourself with your printer. Because the more you get familiar, it will be easier for you to take action. Moreover, to eliminate the hassle of removing your and checking the ink and toner, you can also install a system software in your PC. This software will guide you time to time about the ink level and when it reaches below the minimum level it automatically starts alert. Always be careful about the print quality that your printer is going to produce. 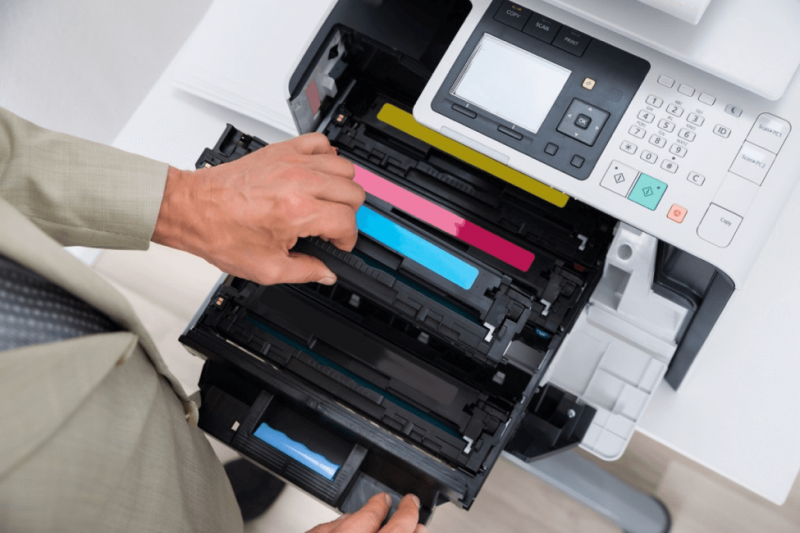 Like if you notice some skips and spots between printouts means it is a right time to replace your ink or toner cartridge. But if you are sure that your printer is not quite empty, then consider the printer settings. Before going to replace your cartridge, it is essential to note your printer model number and other relevant details. This will help you to choose the perfect cartridge for your printer. This information is usually available on the backside of the printer and on printer manufacturer manual booklet. Check the cartridge grip, because some cartridges have clips that need to be pressed before releasing the ink try. Never remove your cartridge unless you have its replacement ready. Many people forget to shake the cartridge before its unpacking and install it as it is. But remember, shaking help in making the ink color even. And after unpacking shaking can boost the chances of ink leakages. Many times, you may found that after replacing the cartridge, the printer still won’t be able to deliver adequate results. This can be disturbing because there are high chances that you may have missed any step. So, in order to get relevant print quality, you must check and fit the cartridge again. Hope, the above-mentioned points help you to know best ink or toner cartridge replacement tips. Remember, replacing is not a stressful task you need to simply follow the above tips and keep your self worry free. A new home is a chance for a fresh start. The way that a home is set up has a big influence on how well kept it will be in the future. The right prep can help save time otherwise spent on reorganizing and fixing mistakes. Oz Moving & Storage has a lot of experience being there on day 1 in a new home, aka, moving day. We spend a lot of time with our clients beforehand to make sure that both we and they are prepared to make sure that day is as successful as possible. The best way to pack with moving day in mind is “packing to unpack”. This means packing in a way that makes the process of unpacking simple and easy. The easiest way to do this is to pack items together by location rather than packing alike items together. For example, instead of packing pillows with other pillows, pack the master bedroom pillow with the bedsheets and other items in that bedroom. Preparation is the key to a successful moving day. If you don’t have at least a loose idea of when each task needs to be started or completed, make a timeline with each task and brainstorm about when to start working on the respective tasks. Our moving checklist is a good place to start, but everyone who moves will have their own individual needs to consider. Better safe than sorry! Most moving experts recommend changing the locks on your home after you move out, just to be sure. A local locksmith will likely be able to do this for you quickly and at a fairly low cost. Make sure to make copies of the new keys when you get your locks replaced so everyone in the home can get inside. Take this opportunity to work on anything in your home that’ll make a mess and have debris ahead of cleaning or moving in your items. After moving in these tasks will be harder to complete or clean up after. This could be painting, rewiring electric setups, installing new appliances, etc. Like with home maintenance, cleaning is much easier to do before move-in day. Once all your belongings are in place, it will be much harder to clean out areas obscured by those items. If the home has had maintenance done inside, that might cause some debris that should be cleaned before move-in day too. Make sure to clean out vents and filters, windows, and any hardwood floors in your new home. 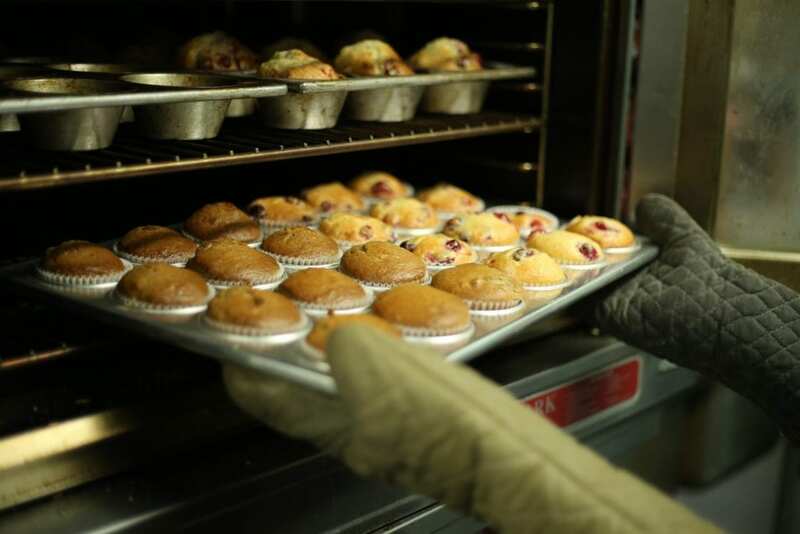 MaidSailors’s moving in/out cleaning package includes cleanings inside cabinets and appliances like ovens & fridges, good things to clean even if you’re going DIY. There’s no better time to live out your interior designer fantasies than days before moving. Planning the layout and organization of your home is both important and much more fun than necessary pre-moving tasks like cleaning and packing. When planning, keep in mind that measurements of rooms and passageways may be necessary to make an actionable floor plan. Otherwise, go crazy and dream big about where you’ll put all your belongings the day you unpack. Not many people will unpack their entire moving inventory the day they move-in to their new home. It’s not uncommon that people will leave some boxes unopened for months, even. Some items are needed right away, however, and it’s best to pack as many of them together as you can. Some items that could be included in this could be medications, toilet paper, or hygiene products; it comes down to whatever you’ll need the day you move into your apartment. Kids are usually the most anxious about settling to new surroundings. Helping them settle by unpacking their belongings will usually allow them to adjust to a new home. The first few days can be the toughest and having some familiarity in their new strange surroundings can be very reassuring. Placating the kids will make the rest of the unpacking easier. The family that hangs together builds close-knit bonds that are hard to break. One terrific way to encourage family bonding is to build a game room that will suit your family’s entertainment needs and preferences. Before embarking on your game room home project, take some time to research all of your options for the best end results. With a little thought and planning, it is easy to get a fabulous game room that your entire family will love and enjoy for years into the future. Whether your kids are toddlers, middle-school students or teens, a hip game room can make your family’s home the desired kid hangout that other neighborhood parents will envy. There are some basic steps to follow when planning your new game room that every homeowner should consider first before the actual work begins. There are no real limits on what constitutes a game room. Every family is different, and as such, each family will have a different game and entertainment preferences. Call a family meeting to discuss which types of gaming items or room design choices would best suit the entire family and to discuss the house cleaning services you will use. Remember to consider age differences when determining the design and interior furnishings of your home improvement game room selections. Ideally, the room should serve the entertainment desires of your family members throughout the coming years. If your kids are very young now, the room might be designed to make a large play area where the majority of your children’s toys can be stored and played with. With teenagers, the room should have a more grownup theme, and space can even be divided up to meet the entertainment preferences of everyone in the family group. Remember that teens tend to prefer more privacy, and parents can give them that with careful planning of the room design. In order to best choose the right furniture and entertainment options for your soon-to-be family game room, it is wise to consider the ages of all involved. Teens typically like more of a trendy space with comfortable furniture and of course desired privacy. Older adults might benefit from a comfortable movie room center with theater-style recliner chairs and large screen smart television, and others might desire a stocked bar, a pool table or a card table set up for weekly poker or bridge card game nights with friends and neighbors. Selecting a fun game machine or console that will be perfect for your family game space is easy if you know where to look. If your family enjoys playing old-fashioned or newer versions of exciting pinball machines and/or arcade style games, check out the cool options on a game machine retailer’s website. There are scores of thrilling gaming machines from pinball machines designed with favorite superheroes or cartoon characters to fabulous arcade styled game machines in a large array of various selections. These games can be found in a wide variety of user age recommendations, and everyone from young children to grandparents can find something to their liking. For families that have a bigger variety of age ranges, having multiple game tables or machines will likely be a better approach. 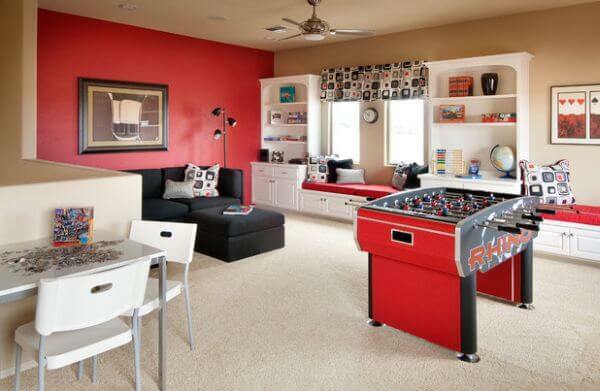 Many families would love to add a fun game room to their home but simply haven’t enough space on first look. There are some ways to create more space that every homeowner should investigate before ditching the idea. There are ingenious ways to create the ideal desired family game room without needing to cost a fortune in the process. Center your game space around the types of game machines, tables or other entertainment furnishings to make the best use out of the available space. A pool table could be at one end of the room, and one or more arcade machines could be at the other end. 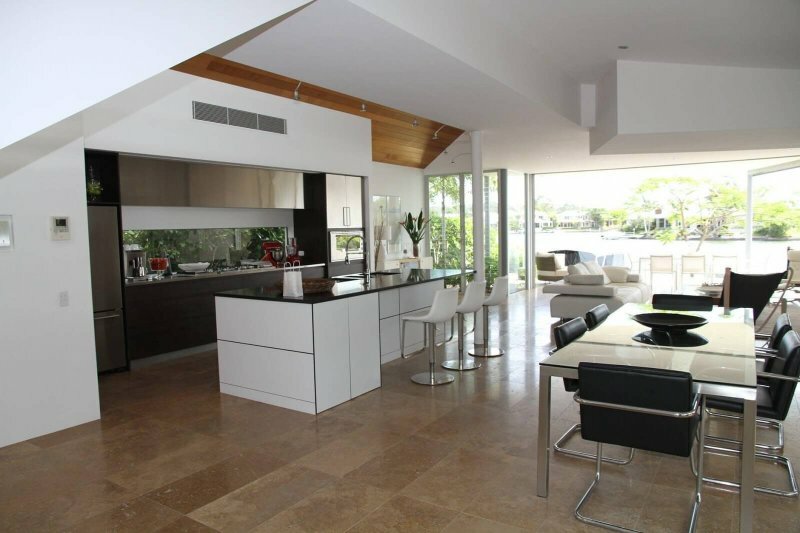 Assess lighting, heating and cooling needs, and ensure that those crucial features are right for the room that is desired. Find affordable furniture and other game room supplies by bargain shopping, frequenting yard and estate sales and checking online retailer sites. Decorating the room doesn’t have to be expensive. Try hanging a trendy dropped lighting fixture in a cool design, paint the walls or add murals that the kids help create and reupholster older furniture to brighten up space. By doing some research, and planning everything ahead, your home could soon acquire a phenomenal game room that every member of your family will love.